With the end of the International Polar Year 2007-08, the closing of the IPY Oslo Science Conference 2010, and the continually growing importance of the Polar Regions within the public and scientific debate surrounding climate change, this begs the question: What's next for international polar research? In seeking answers, it helps to go back to what, until 2007, was the most important event in the history of polar research: The International Geophysical year of 1957-58 (otherwise known as the third IPY), a landmark event not just for the earth and polar sciences, but for international scientific cooperation as a whole. At the height of the Cold War, the IGY generated a climate of collaboration and data sharing between research institutions from across the world, including scientists from the ideologically opposed United States and Soviet Union. With Antarctica as one of its key points of focus, it led to the establishment of over fifty temporary or permanent research stations, both coastal and inland, and to a wide spectrum of expeditions and key scientific findings. These included everything from cross-continental seismic-sounding expeditions to aerial surveys, oceanography, meteorology, and the atmospheric sciences. Fifty years later, the IPY 2007-08 picked up the flame of the IGY, focusing even more closely on the Polar Regions, and on their response to anthropogenic climate forcing. Under the slogan ‘Polar Science – Global Impact’, and with over two hundred separate research projects under its umbrella, it built on the achievements of the IGY by extending the breadth of scientific disciplines and the number of nations involved, as well as by expanding observation networks and infrastructure, for example with Belgium’s Princess Elisabeth Station (the first zero emission Antarctic research station). This mobilization resulted in the unprecedented participation of some 50,000 scientists and support personnel from 60 countries. For the first time, it included the social sciences, northern Arctic communities, and wide-ranging education and outreach products and events across the world. It also provided the impetus for the creation of the very active and formative Association of Polar Early Career Scientists (APECS), which outlives the IPY and now regroups over 1,800 members from across the world. Nowhere was this breadth of research and grass-root involvement more apparent than at the Oslo IPY Open Science Conference held at the beginning of June 2010. The largest ever gathering of polar researchers and scientists, this unique event was an opportunity to present and discuss the findings and data generated by the IPY 2007-08. Wherever one looked and listened across the many hundreds of sessions and posters presented in Oslo, the two key messages that emerged from the conference where without question inter-disciplinarity and change. Inter-disciplinarity because researchers from across the world not only collaborated and exchanged data more freely and openly than at any other time since the IGY, but because, in the interest of modelization, they did so across disciplines, trying to find ways of combining data previously thought unrelated. Change, because whether they were focusing on the big picture, or on the most specialized ecosystems, the clear and overriding conclusion of this IPY was that many key Polar ecosystems are changing, and/or deteriorating at an alarming rate as a consequence of atmospheric warming. What’s more, that this change implies direct present and future impacts not just on the cryosphere, permafrost, flora, fauna, and Arctic communities, but on the Earth system as a whole. Beyond the science, the conference was also a chance to showcase education outreach efforts, whether through films, photographs, exhibits, talks, books, traditional music, theatre, or even dance from native Arctic communities. It also involved school teachers through a series of side events, workshops, and networking sessions designed to inform them about existing polar related educational tools, as well as the latest research findings and how to best communicate them back to their pupils. 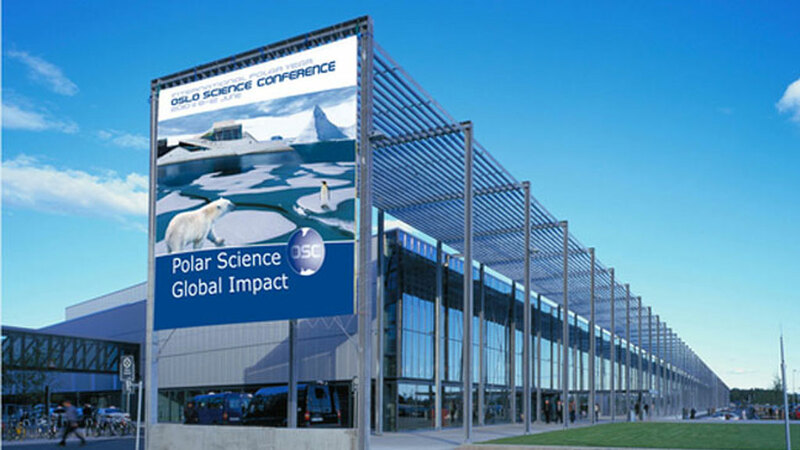 Against this mixed background of, on the one hand, success for the IPY and the polar research community, and on the other, deep concern over the nature of the research findings, the Oslo IPY conference proved a perfect opportunity to discuss the future of polar research. This included the continuation of observations started during this IPY and central to our understanding polar systems and their evolution, but also key priorities, such as maintaining the spirit of international collaboration, as well as the all-important international funding momentum gained during the IPY. A key idea that had previously been circulated and was once again brought up in Oslo by the Russian explorer and scientist Arthur Chilingarov (during his opening ceremony speech) was the launch of a provisionally named International Polar Decade (IPD). In a special workshop dedicated to the legacies of the IPY 2007-08, Eduard Sarukhanian, Special Advisor to the World Meteorological Organization (WMO) on the IPY, made a presentation about this initiative and how it was starting to take shape. Dr Sarukhanian explained how the proposed Polar Decade would indeed be a direct legacy of the IPY, but also stressed how it would significantly differ from it. Like the IPY, the IPD would be co-sponsored by WMO and the International Council for Science (ICSU), but would hopefully also involve new partners such as UNESCO and UNEP. Most importantly, whilst the IPD would follow the IPY’s vision of including the social sciences and education & outreach, unlike the IPY (whose sheer breadth and intensity could never be maintained over a ten year period), the IPD would only focus on a limited number of key themes and projects. They address important societal needs. As such, they would certainly include longer-term ground and satellite monitoring of climate evolution and impacts on polar ecology and environments (with potential direct impact on Arctic communities and the Earth system as a whole), as well as the integration of these observations into models for the prediction of weather and climate over seasonal and longer time scales. Other research programmes would of course touch on the human and biological dimensions, as well as on specific ecosystems like permafrost. According to Dr Sarukhanian, these coordinated research and monitoring efforts, and the IPD as a whole, would ultimately serve to develop a concrete set of recommendations to governments for polar and global adaptation to the observed changes, with “special attention to strengthening the adaptive capacities of Arctic residents”. Currently, and as was seen at the Oslo IPY conference, the idea of an IPD is rapidly gaining momentum among the research community, but the formal procedures by the key sponsoring organizations are still ongoing. What is evident, is that an IPD would be a fitting legacy of the IPY, as well as a necessary platform for polar researchers to continue their important work in monitoring the effects of climate change in the Polar Regions, and thus help to better predict their future global impact. The Oslo IPY conference proved a perfect opportunity to discuss the future of polar research.